This farm will become the most beautiful place to spend your time. Purchase seeds and expand the place to plant more seeds. Choose a seed you want to play and wait until it grows. 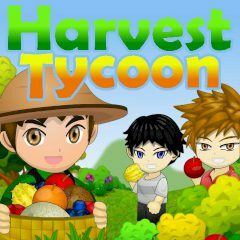 Collect the harvest and earn money. Decorate your own farm and make it the best. Plant seeds at the garden, wait them grow up and collect fruits. Repeat again and again and unlock other types of seeds. They cost the whole fortune, but grow slowly. Expand the place for planting and earn even more money for one single harvest.